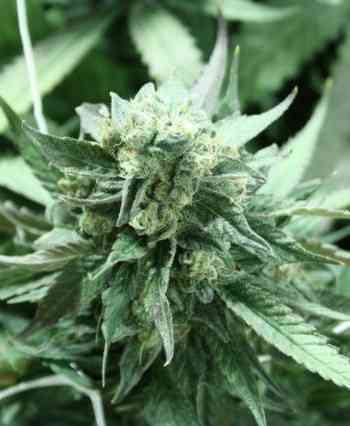 Khufu is a new cannabis strain from The Devil's Harvest offered in regular seed form. It comes from the cross of OG Kush and Kuchi and has been developed to reinforce the Kush features in a productive and fast flowering plant, which is ready to harvest in 8-9 weeks. Kufhu is a backcross of Kuchi with SFV OG Kush genetics, created to fix the Kush traits of this line while achieving a high-yielding plant. Getting ripe in just 8-9 weeks of flowering, Kufhu develops massive buds with huge calyxes that give it a fleshy look while getting excellent yields. This genetics shows a few different phenotypes, what allows the grower to make a selection of his/her preferred one, thus getting a motherplant that suits all his/her needs. The smell of Khufu is typical of Kush plants, spicy and floral, intense, and enriched with its 25% content of Cheese genetics.